Traditional Pro models are the heart and soul of the Fender Acoustics line, built by the top luthiers at the Fender Acoustic Custom Shop using only the finest materials. These guitars feature all-solid-wood construction, forward-shifted bracing for more traditional tone reminiscent of vintage instruments, nitrocellulose lacquer finishes, and designs that pay elegant homage to Fender acoustic instruments of the past. 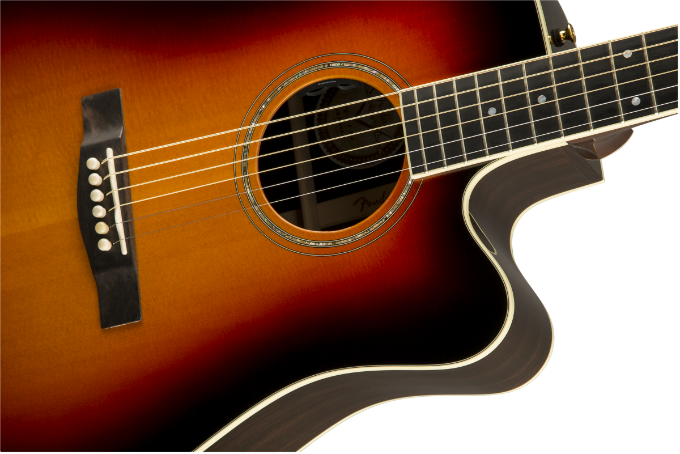 The TPD-2CE dreadnought beautifully exemplifies all of the above. The combination of its solid AAA Sitka spruce top, scalloped and forward-shifted red spruce “X” bracing, and solid rosewood back and sides produce richly clear, full and balanced tone, with a convenient Venetian cutaway for easy access to the upper reaches of the fingerboard. The mahogany neck has a “soft V” profile, dual-action truss rod and traditional Fender® headstock, topped by a 20-fret ebony fingerboard with a 10” radius, aged white binding and mother-of-pearl dot inlays. 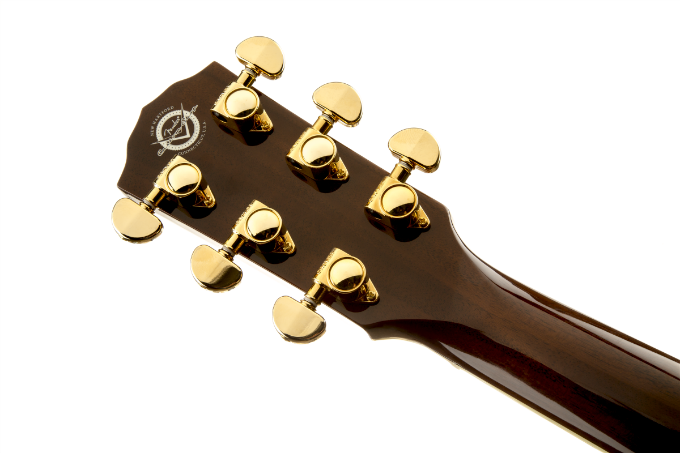 Other premium features include aged white body binding and abalone rosette, four-ply tortoiseshell pickguard, bone nut, traditional rosewood bridge with bone saddle and aged bone pins, Grover® Rotomatic™ tuners, gold hardware, and Fishman® Matrix™ Infinity pickup/preamp system for peerless amplified performance. Available in Natural and 3-Color Sunburst gloss nitrocellulose lacquer finishes, and includes deluxe hard-shell case, Fender leather strap and certificate of authenticity. + Neck Shape: Soft "V"